The Honest Plumber handles clients of all sizes, from everyday residential pluming issues to large corporate monthly inspections and repairs to make sure your business continue to run smooth. 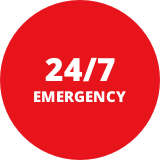 We are available 24 hours, 7 days a week for your needs! If you need water heater or tankless water heater repairs, replacement, or installation services, our experts can do the job! We are the best company when it comes to getting water heater inspected or flushed. Whether you require routine servicing or extensive repairs, our plumbers are ready! We’re serious about the quality of our work and your satisfaction. Call (661) 392-1455 and get help from an expert fast! 24/7 Service Available 7 Days A Week! A team of experienced plumbers located in Bakersfield, CA and service all the surrounding areas. 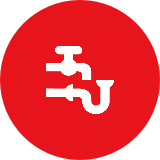 We are a fully licensed and insured plumbing company servicing all your gas, water and sewer needs. We also offer plumbing inspections and diagnostic services to prevent future plumbing problems. We make sure your business flows smoothly with schedule checkups. We make sure every pipe in your project flows smoothly. We understand the needs of every property manager and the level of attention and urgency! Professional, affordable, service you can count on! Clothing/dish washers, sinks, toilets and more!